In the cafe where I’m writing this, you can tell it’s the holiday season. I hear carols overhead, watch families haul in shopping bags, and lust over heavily frosted cookies shaped like stars and trees. While the season implies fun, for many busy professionals, it’s just a ball of stress once they start tracking down the perfect gift for all the people on their list. Let’s make it easy, shall we? Here are some of my favorite career and success books, both current and classic, that might be perfect for your best bud, your boss, or even yourself if you want help wearing your red cape every day. Note: the Amazon links are affiliate links, which means that Amazon pays me a few cents when you buy using that link. Use it for convenience, or use Amazon Smile and the megaseller will make a donation to your favorite charity. I’m the kind of person who runs the other way from movies and TV shows with the word “die” in them. But as a fan of Henry’s Accidental Creative podcast, I knew this book wouldn’t be deadly. 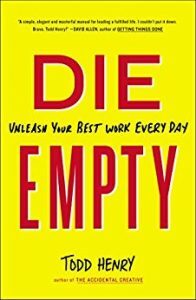 Instead, Die Empty offers ways to structure your work and life to create urgency that inspires you to do your boldest and best. My favorite are the provocative questions offered to help you find your own voice within your work. Also for the professional creative in your life, check out Henry’s earlier book, The Accidental Creative: How to Be Brilliant at a Moment’s Notice. If you know someone who’s been holding to their red cape amid strong corporate winds, this book about how underdogs become champions is a great choice. Gladwell’s usual myth-busting is alive here, telling you the real story behind stories you’ve long believed and showing you how a perceived weakness can often be a strength. Don’t get intimidated by the book’s girth. 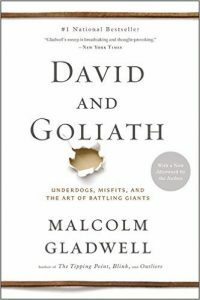 Gladwell’s work, although academic and highly referenced, somehow remains entertaining storytelling that will stick with you for a long time. What if you had the secrets to truly thriving today? 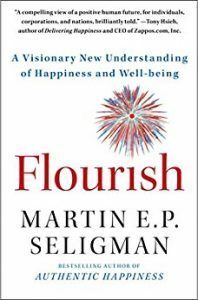 Seligman, founder of the positive psychology movement (a basis for the professional coaching I do) shares radically simple yet transforming ideas on what will create a life of personal and professional fulfillment and meaning. This isn’t some squishy self-help book. U of Penn professor Seligman shares specific stories about organizations using advanced well-being techniques and ideas to create better people experiences and get better results. One of the surprising groups using these tools is the US Army, and Seligman’s work will give you tools and ideas you can apply within your own company—and your own life. Okay, you got me–this isn’t a book (although each issue contains the equivalent of one). But if your givee wants to stay ahead of the curve of what’s innovative and insightful in today’s business world, HBR’s an excellent gift. You can buy a print subscription for less than $100 (Kindle’s even cheaper) and your subscription gives you access to more of HBR’s rich online database of videos and articles. But Wait! There’s More . . Finally, since it’s my blog, I’ll add my own book, “Bring Your Superpowers to Work: Your Guide to More Clarity, Confidence & Control,” a fun and easy gift to stimulate some fresh thinking about what success can look like for you and your career. 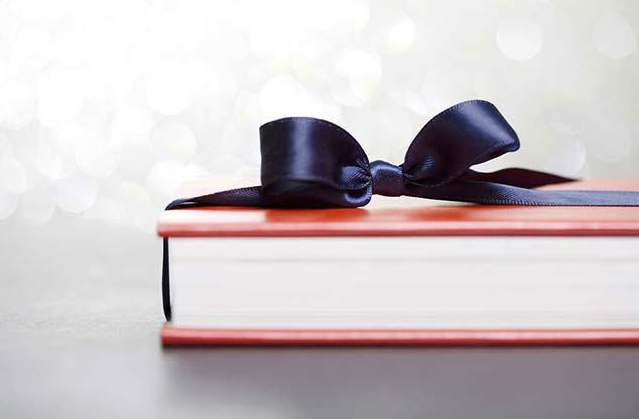 YOUR TURN: What are your favorite books to give–and receive? Tell us in the comments below or join the conversation on Facebook. Thanks, Travis! I don’t know Creating Magic or Rama, so will have to check those out. And Marianne’s work can be very inspiring always. Appreciate the suggestions and thanks for reading!